Steve is thrilled to announce the launch of a new live music initiative he's been working on for a couple of months which has just gone live today, 25th Feb. 2019. 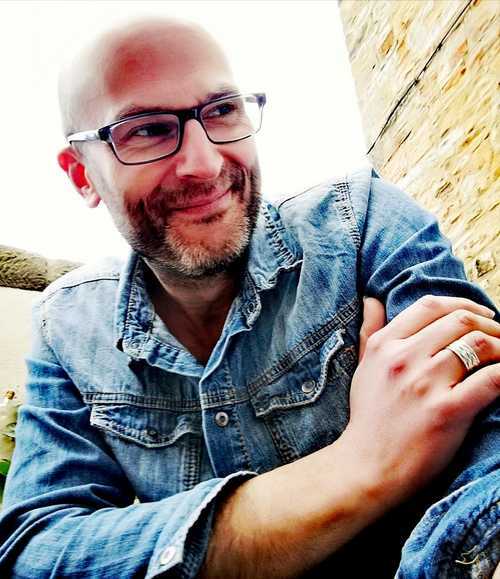 Below is a description of just what On Trust Events is all about and we hope it's something that will grow over the coming months....On Trust Events is a live music initiative created by award-winning singer/songwriter Steve Pledger. The two distinguishing features of an OT/SP gig are that there is no fixed ticket price (these shows will be ‘pay as you feel’) and they will be put on and promoted in conjunction with people and organisations working with local communities, initially across County Durham. The aim is to ensure that nobody who would like to attend is prevented from doing so solely for financial reasons: the ‘pay as you feel’ format means that those who are able and willing to contribute may do so according to their means rather than a pre-determined, obligatory amount. Anyone coming along who is genuinely unable to pay much - or anything at all - is equally welcome and appreciated. In all other regards, it's a regular gig: you come in, find a seat, Steve performs a set - there's an interval - he plays some more songs and the evening draws to a close, hopefully with everyone glad to have been there. 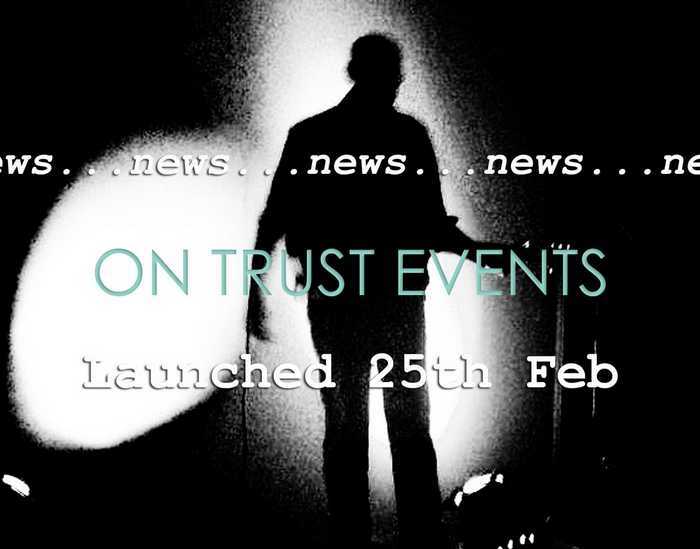 It is called ‘On Trust Events’ because that’s very much the basis on which these events will be run. The premise is simply that the more we are given the opportunity to prove ourselves trustworthy, the more trustworthy we will be. There will always be exceptions, but in this as in other aspects of life, that fact must not be allowed to prevent us from placing trust in others; doing so does us all a disservice of which the majority is not worthy. The idea is to hold OT shows in venues which everyone would feel comfortable attending... community centres, village halls etc. This isn’t a charity or something aimed solely at people who are without resource. (It hopefully goes without saying that there is nothing - NOTHING - wrong with any initiative that does fit those criteria, it’s only that OT doesn’t, and there is no desire to give an inaccurate impression of what we’re about.) Its aim is merely to put on a few gigs in such a way that removes money from the equation for a couple of hours and brings a few folks together around a simple, shared desire to hear some original live music. If you are part of a community initiative or action group; a local councilor involved in helping to meet the needs of the people in your area and would be interested in discussing the possibility of arranging for Steve to perform in your community, please get in touch via our website. You can also email info@stevepledger.co.uk and ask for further details. The website also provides links to Steve’s music and more. This initiative launched across County Durham Feb. 2019 with the first gig currently taking place on 26th April at Annfield Plain Community Centre. However, if you are further afield, we’d still love to chat with you as there is no reason at all why things shouldn’t move beyond the county borders in the very near future. Drop us a line! The original concept came from Steve thinking about how to stage gigs in such a way that would be viable for him as a full-time, professional artist, whilst also being fair and affordable to anyone wishing to attend. The latter part of that thought process has grown and taken on a momentum and ambition that wasn’t anticipated, but which OT is very excited about carrying forward. 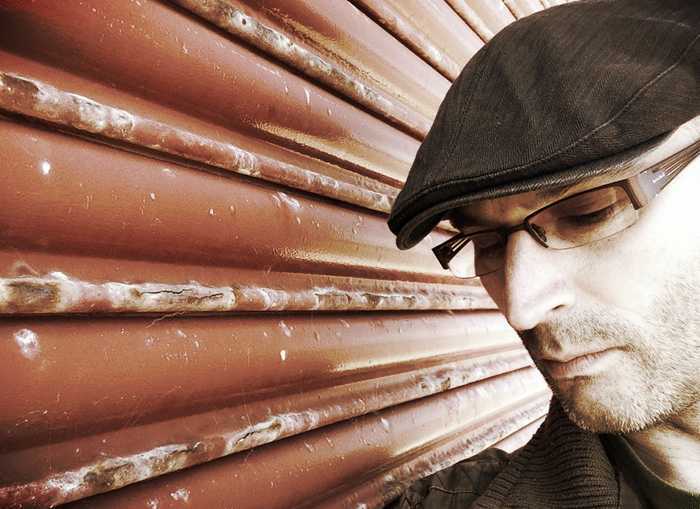 Consequently, whilst there is potential for this to expand over time, as things develop for the foreseeable future, OT will be Steve Pledger gigs only. He will continue to perform ‘regular’ shows - ticketed or otherwise - but the hope is that this concept will gather steam and enable further events to be staged in the same way. It should also be noted that there are, of course, many ‘free music’ events which anyone can attend, especially in pubs etc. However, these are rarely - if ever - in environments conducive to listening to sensitively performed, original music; such gigs are almost always accompanied by a ticket price. Steve will continue to play ticketed shows as well as ‘free entry’ gigs in pubs, though the latter very rarely feature any original material. The purpose of OT is to make the ‘proper gig’ experience accessible and affordable. The award-winning 'Somewhere Between' celebrates its 2nd birthday! 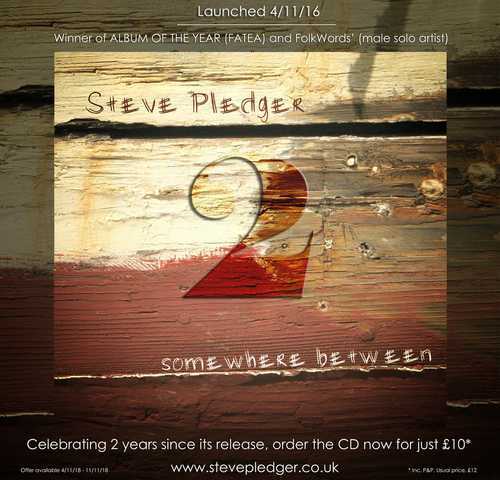 To mark 2 years since its release, Steve's critically-acclaimed third album will be available on CD for the special price of £10 (inc. p&p*) from the Shop between 4th - 11th November and you can read more about it in Steve's latest Blog. If you've not yet got your copy - or if you're gtetting an early start on the Christmas shopping - you have until the 11th to order the album on CD at this special celebratory price! 'Somewhere Between' is OUT NOW! The CD and download versions are both available from the shop. 'Somewhere Between' is now out there and available exclusively from this website (and gigs) before going on general release in the new year. You can listen to a sampler of some of the tracks here now! The SOLD OUT launch concert took place at Dunster Castle in Somerset on 4h November - thank you for coming along if you did - and you can read two fantastic reviews of the event posted by FATEA and folking.com by clicking on their respective links. The reviews coming in for the album itself have been fantastic and will soon be made available to read on the Reviews page. It has been described as "...Steve Pledger's tour-de-force. 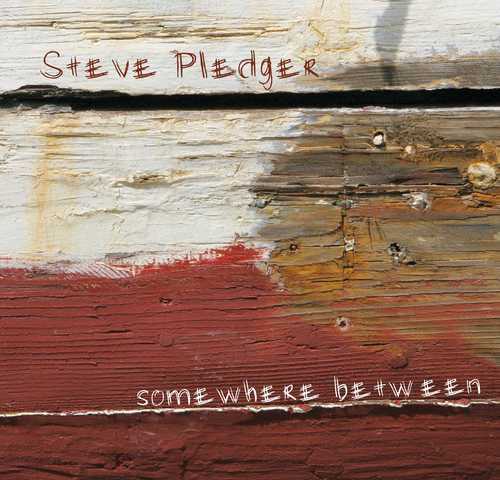 An album that casts Steve as a protest singer, up there with the likes of Billy Bragg, Phil Ochs and Ewan MacColl." by FATEA Magazine; a "protest album burning with anger and compassion..." by Folking.com and a "cracking listen from a very fine singer/songwriter" by Frank Hennessey on BBC Radio Wales, to name just a few. Please check out my latest blog here. 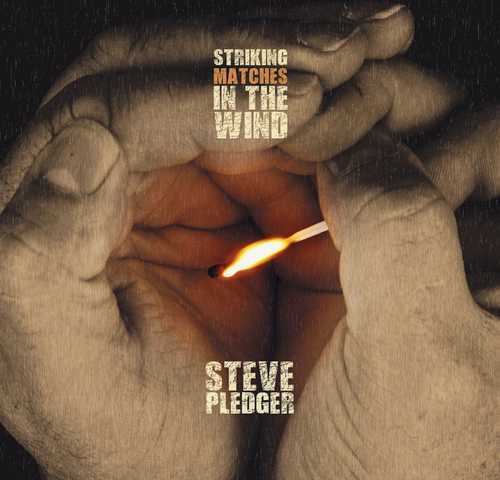 Steve’s new album, 'Striking Matches In The Wind', is released and available to order for £12.00 (inc. P&P). Or if you prefer, you can purchase the mp3 format for £7.00. Please click on the album cover to visit the shop. Steve's debut album - '14 Good Intentions' - is also available to order from the shop for £10.00, inc. P&P.